Hildegunn Kyvik Nordås: Why Do Countries Regulate Differently and How Does It Affect Trade? The case of professional services in the European Union. Since services have been considered non-tradable in the past, explicit policy barriers to cross-border trade in services are rare. Nevertheless, in the words of the EU Commission ‘…. a decade after the envisaged completion of the internal market, there is still a huge gap between the vision of an integrated European Union economy and the reality as experienced by European citizens and providers’ [Directive 2006/123/EC (3)]. This is a remarkable observation in the region where services market integration arguably runs the deepest. Already the Treaty of Rome of 1957 granted full market access for the signatories through cross-border trade as well as movement of capital and labour, while the Internal Market Act aimed at removing barriers to the implementation of the letter as well as the intention of the treaty of Rome. However, domestic regulation turned out to be a formidable obstacle to the integration of services markets. Hence, a services directive aiming at lowering regulatory barriers to trade was introduced in 2006. Regulation can be divided into two broad categories: Regulation that aims at protecting consumers; and regulation that aims at restraining dominant firms from exploiting their market power. Licensing and related quality and qualification requirements in professional and financial services are examples of regulation in the first category. In professional services regulations are typically related to licensing and qualification requirements, which is the subject of this article. Professions in the health sector are regulated in almost all countries. Beyond these, it is surprising how countries differ regarding how many and which services sectors they regulate. EU directive 2005/36/EC on the recognition of professional qualifications takes this kind of regulatory diversity as a given and aims at making it as easy for a professional services provider to offer services in other EC member countries as it is in his or her home country, provided that the qualifications are obtained in an EU country. For the purpose of monitoring the implementation of the recognition directive a comprehensive database has been established. It contains information on which professions are regulated, the number of decisions on recognitions by country, profession and year, the level of education needed to qualify for the profession and the nature of the recognition regime . The database shows that the number of regulated professions ranges from 47 in Estonia to 404 in the Czech Republic; and the un-weighted average is 157. One factor explaining differences in the approach to regulation may be differences in legal origin. The literature distinguishes between the British, French, German, Scandinavian and socialist legal origins . Calculating the average number of regulated professions separately by legal origin shows that the average is lowest in the socialist group (127), followed by the Scandinavians (140) the French (146), the British (150) and the Germans (174). These statistically significant results are perhaps surprising since the socialist group and the Scandinavians are not known for their laissez faire as far as regulation is concerned. Note however, that Poland, the largest country in the socialist group, is the second most regulated country in the European Union and way above the average. Be that as it may, there are also other factors that are strongly associated with the number of professions being regulated. Countries with a small population size tend to have fewer regulated professions. On average a 10% larger population is associated with 1% more regulated professions. Since regulation requires resources for regulatory bodies, the administrative cost of regulation increases with the number of regulated professions. Assuming that some of those costs are independent of the number of services providers within the regulated profession, administrative costs are higher as a share of total value added created by the profession the smaller the country. It is therefore not surprising that small countries tend to have fewer regulated professions. Another factor that is strongly associated with the number of regulated professions is contract enforcement as measured by the Fraser Institute’s indicators of economic freedom. Countries that do better on this indicator tend to have fewer regulated professions, suggesting that the disciplining effect of private contract enforcement to some extent substitutes for government regulation. Contract enforcement is closely related to legal origin, and it is difficult to distinguish clearly one effect from the other, however. 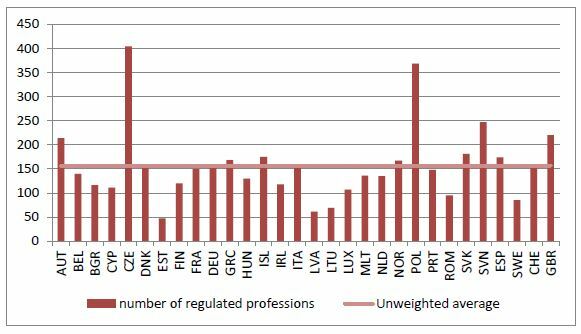 Figure 1: Number of regulated professions in the European Economic Area. Source: Calculated by author based on European Commission database. Lack of recognition of qualifications obtained abroad implies that individuals or firms that wish to provide services in a foreign country must retrain in the host country, or engage local staff with the required qualifications. Differences in regulation can therefore be a considerable barrier to international trade in its own right. The European Union’s Services Directive of 2006 aimed at eliminating or at least reducing such barriers. The first draft introduced the country of origin principle, which meant that a service supplier that complies with the home country regulation should be able to provide services in all EU countries without being subject to licensing or other forms of permits or authorization in the host country. The country of origin principle was, however, met with fierce opposition and was dropped from the final version of the Services Directive. The mutual recognition directive therefore became one of the most important pieces of legislation supporting the integration of markets for regulated professions. Professional services tend to be provided through several modes of supply at the same time. Establishing a commercial presence is important, even for information-intensive professional services that can be easily digitized and communicated across electronic networks. Thus, in spite of the IT-revolution commercial presence remains the most important mode of supply, while online trade is seldom the sole mode of supply. After having established commercial presence professional services providers need flexibility to send staff from headquarters to affiliates and across affiliates, to visit customers, follow clients abroad and to provide services on-line across borders. Thus, modes of supply are typically complementary and regulatory barriers to one mode of supply impede trade through all modes of supply. Recognition of qualifications is therefore relevant not only for the movement of professionals but for all modes of supply of professional services. It is therefore interesting to relate the information on bilateral recognition entailed in the EU database to bilateral trade flows in professional services. Does recognition of foreign qualifications stimulate trade – or is it the other way around? Our analysis suggests that there is a two-way relationship between trade and recognition of qualifications. Demand for a foreign recognition appears to be partly motivated by the desire to engage in cross-border exports, but recognition of qualifications also stimulates trade in services in its own right, generating a virtuous circle of trade expansion, a larger number of applications for recognition, and positive decisions generating more trade and so on. Furthermore, not only does recognition of qualifications obtained in country A by country B stimulate exports of professional services from A to B, it also stimulates imports of professional services by A from B. This probably reflects multi-modal trade where for instance establishment abroad generates intra-firm trade as well as deeper specialization. The analysis uses a broad brush relating the total number of recognitions by country pair and year to total cross-border trade in “Other business services”, which contain a host of professional services. More detailed analysis is difficult due to the absence of more disaggregated trade data as well as differences in classification of professional occupations across countries. Results should therefore be seen as indicative. With this caveat in mind, it is found that a 10% increase in the number of positive recognition decisions is associated with about 7% more exports from the country of origin to the host country, whereas a 10% increase in exports elevates the number of recognitions by about 5%. The same estimation procedure shows that countries that share a common language have about 2.5 times as many positive recognition decisions as those who do not share a language; and countries that share a common border have about twice as many positive recognition decisions than those that do not. The estimates are based on the so-called gravity equation where the variables explaining exports or imports and recognition of qualifications were determined simultaneously. We also estimated the relationship between the total number of positive decisions on recognition and trade in technical services such as architecture, engineering and other technical services; and legal services, accounting and other administrative services separately. The results are similar to those obtained from aggregated data, but recognition of qualifications appears to be a stronger driving force for exports in these sectors. Thus, a 10% increase in the number of recognitions raises exports by about 9% for technical services and 12% for legal accounting and other administrative services. In both cases a 10% increase in exports is associated with about 6% more recognitions. Exports of technical services such as engineering and architecture is less sensitive to distance than most other services, but less standardized services such as legal services and consultancies are highly sensitive to distance also within the European Union. Finally, similar results were found for the relationship between recognition of qualifications and imports by the origin country from the host country. The experience of the European Union shows that the elimination of explicit barriers to services trade and investment is essential, but not sufficient to generate integrated services markets. Thus, both the level and the heterogeneity of domestic regulation contribute to fragmented markets even in the event of free movement of capital, workers and services. Harmonizing regulation, for instance through international standards should in principle eliminate or substantially reduce regulatory barriers to trade. But this requires consensus on what constitutes best practice. 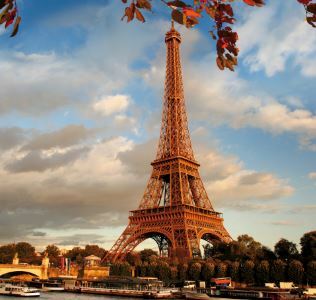 Examples from the services sectors are the Basel agreements on regulation of financial services and the international telecommunications regulations (ITRs) under the auspices of the ITU. But even in these cases best-practice is not established once and for all and events such as the financial crisis may lead to a rethink and temporary divergence from international standards. In cases where regulatory principles are less well established and where there are different views on whether or not regulation is necessary, mutual recognition of qualifications and standards may be a better option. Mutual recognition reduces regulatory barriers to trade and investment, while allowing for regulatory discretion and diversity. Mutual recognition is not without problems, however. It was for instance not politically possible to introduce the origin principle in the EU Services Directive. What is not politically possible within the EU may be difficult in other regional trade agreements, the GATS or a possible new international services agreement as well. In professional services the main purpose of regulation is to ensure a minimum quality of services and to protect consumers. Do the countries with the smallest number of regulated services (e.g. The Baltics and Sweden) have lower quality of services or consumer protection? If not, could other countries deregulate without harmful consequences as well? Or do the countries with the fewest regulated professions obtain their objectives through other means that cannot easily be replicated in other countries? These are important questions for the architecture of international services trade agreements. This article is based on and extends Hildegunn Kyvik Nordås: “Domestic regulation: What are the costs and benefits for international trade in services? Chapter 2 in Aik Hoe Lim and Bart de Meester (2013) WTO, domestic regulation and services trade: putting principles into practice, Cambridge University Press. It is written in the author’s personal capacity and views expressed in it do not reflect the views of the OECD or its Members. qualifications/regprof. The database contains information on regulated professions in the European Economic Area and Switzerland. Among the EEA countries the legal origins are as follows: British: Cyprus, Ireland and the UK; French: Belgium, France, Greece, Italy, Luxembourg, Malta, the Netherlands, Portugal and Spain; German: Austria, Germany, Switzerland; Scandinavian: Denmark, Finland, Iceland, Norway and Sweden; Socialist: Bulgaria, Estonia, Hungary, Latvia, Lithuania, Poland and Romania. The Czech Republic, the Slovak Republic and Slovenia are not categorized under any of these. Hildegunn Kyvik Nordås joined the OECD in 2005 where she leads a project on services trade restrictions, their measurement and impact. 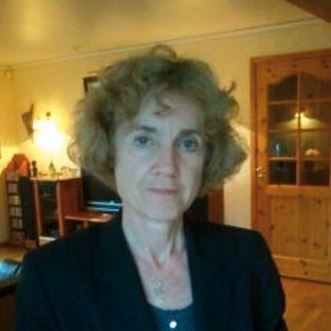 Before joining the OECD she worked at the research division in the WTO Secretariat, and she has held positions as senior researcher and research director at Christian Michelsen Institute, Norway. Her areas of research and analysis are international trade, economic growth and economic development. She has published a number of journal articles and book chapters in these fields. In addition she has led a number of projects providing technical assistance and policy advise in developing countries, including developing a macroeconomic model with the Planning Commission of Tanzania. She has taught international economics and development economics at the University of Bergen, Norway, public finance at the School of Government at the University of Western Cape, South Africa, and she has been a visiting scholar to Stanford University, USA. Ms Kyvik Nordås holds a Ph.D. in economics.